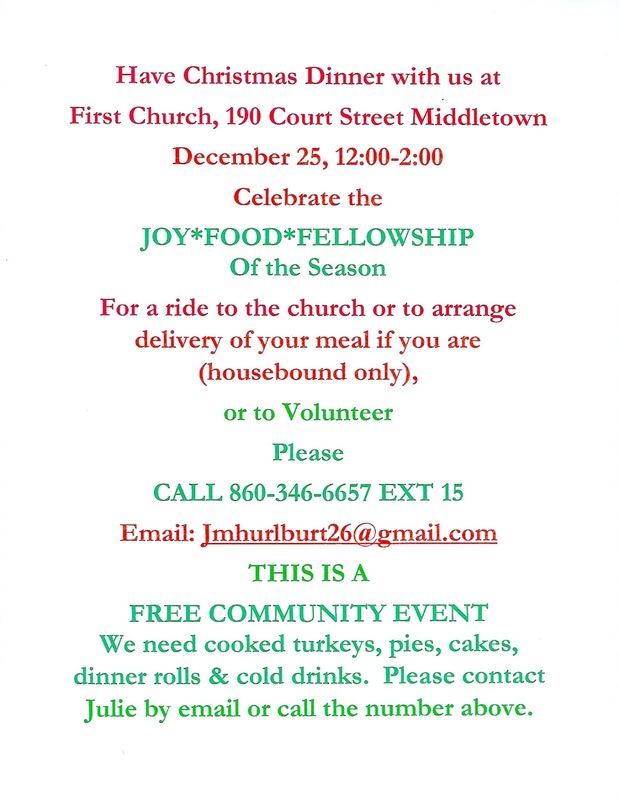 The Middletown Insider: First Church of Christ Community Christmas Dinner! 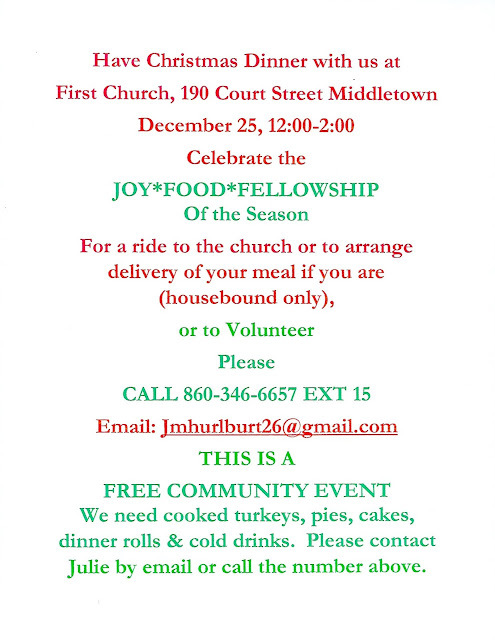 First Church of Christ Community Christmas Dinner! Volunteers are needed for many different tasks. People are needed early in the day to help prepare food and set up the dining room. People are needed to wash dishes, clean tables and greet guests. People are needed to deliver meals to patients at CVH and to those who are unable to leave their homes, and to interact with guests. One year, a lady came in a Santa suit; everybody loved it! Folks who cannot make it early in the day are welcome to come in later and help with the final clean up and relieve those who have been there since the early morning hours. There is a piano in the dining hall and sound equipment is available. Two years ago, my next door neighbors, the Latronica family (AKA the "Von Trapp" family), came with their children and sang carols for the diners. Musicians and singers, amateur or professional, are welcome. Monetary donations are graciously accepted, in addition to foodstuffs. Contact Julie Hurlburt for further details; her contact info is in the flyer.